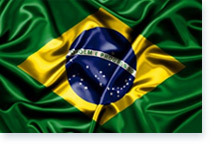 In Brazil, the National Metrology, Quality and Technology Institute (INMETRO), a semi-independent federal agency, manages the Brazilian Conformity Assessment System (SBAC), applying the public policies established by the National Metrology, Standardization and Industrial Quality Council (Conmetro), which, in turn, receives technical support from the Brazilian Conformity Assessment Committee (CBAC). It is important to note that each institution with authority and expertise to regulate has the autonomy to create its technical regulations and is responsible for indicating how and by whom the conformity assessment process will be carried out, as well as the oversight of the final product in the consumer market. Conformity Assessment of other government agencies. Finally, in the conformity assessment area, INMETRO is the only official accrediting entity of the Brazilian federal government, following the current international trend of appointing just one accrediting entity per country or economy. INMETRO is internationally recognized as the Brazilian accreditation entity by the International Accreditation Forum (IAF). Learn more about the certification and inspection organizations accredited by INMETRO.